Amid disappointing election results, progressives won big on one campaign: raising the minimum wage. With the votes counted for this year’s midterms, the American electorate is now looking at a Republican insurgency that reclaimed the Senate and swept several governors’ offices, a guarantee of more stagnation on Capitol Hill, and record sums of political money stuffing campaign coffers. But if electoral democracy has yielded somewhat uninspiring results for progressives, yesterday was at least a win for direct democracy. The new minimum wages are all well above the federal floor wage—ranging from $8.50 in South Dakota and Arkansas to $15 in San Francisco (to be phased in by 2018). Alaska, South Dakota, and the two California cities (San Francisco, and Oakland) will also index the wages to inflation so that they keep pace with the rising cost of living, which makes wage levels less vulnerable to the whims of legislators from year to year. And as more cities begin raising their wage floors across the country, more evidence is mounting that these modest raises for the poorest workers neither damage local business nor hurt poor workers’ job opportunities—thus countering the sky-is-falling claims of conservatives. Two cities that recently boosted their base wage, SeaTac and San Jose, have reportedly seen no significant impact on jobs or prices, and in some cases, hiring seems to have improved. 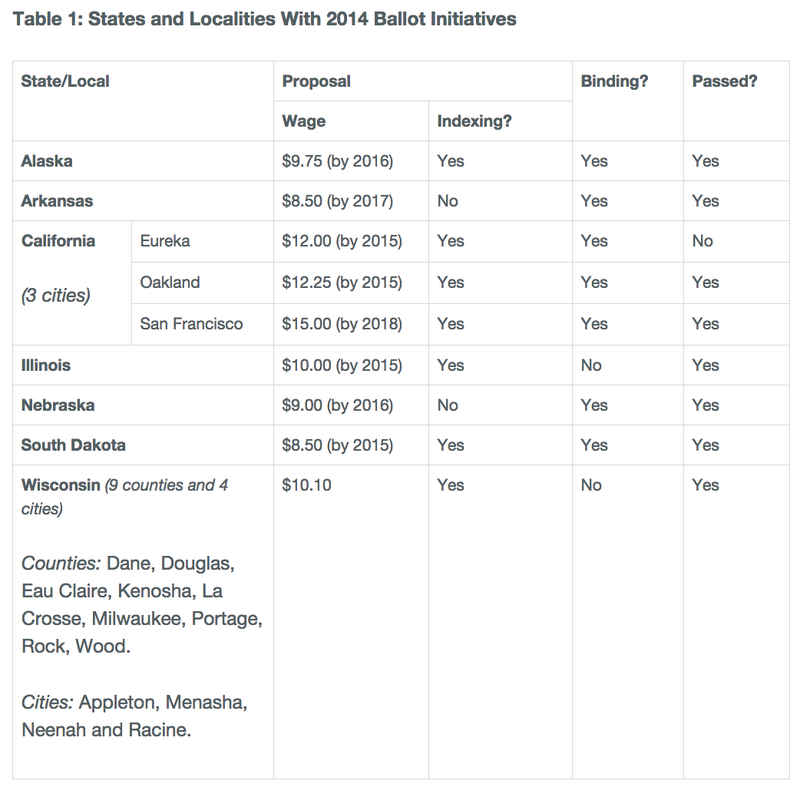 Many more cities are exploring minimum wage initiatives or legislation, in large part because this is a mechanism to immediately improve local economic conditions for workers without having to deal with the partisan maze of Congress or the State House. Now, a campaign is underway to push the New York State legislature to allow New York City to raise its minimum wage independently of the rest of the state, in order to match the city’s extraordinary cost of living. And there are stirrings of more $15 minimum wage proposals in Chicago and Los Angeles as well. So it turns out that if our hopelessly gridlocked lawmakers can’t muster the votes to pass anything meaningful in this session of congress, ordinary voters have already showed them how it’s done. 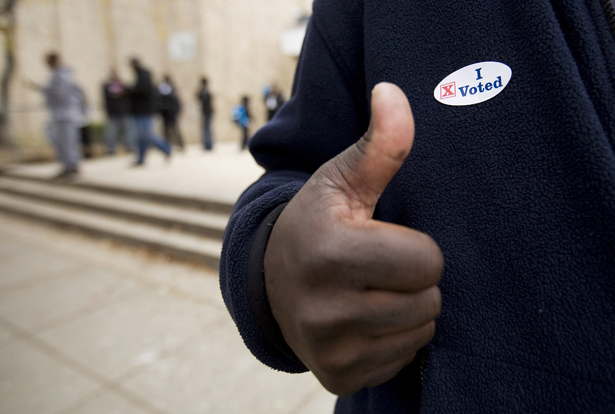 They legislated on their own, at the ballot box.